As long as there has been a crime there have been cops trained, deployed, and authorized to make arrests to protect society. And whether they are preventing crime or responding to it, professional law enforcement officers are universally recognized as the most effective tool in a free society’s arsenal. As a result, private business owners have contracted with these professionals to provide added security during the officers’ time off. Most American law enforcement agencies support the hiring of their personnel for private assignments. These agreements place additional cops on the street, augment officer salaries, and improve a community’s perception of its police. Typically seen as a benefit for the agency, the private client, and the officer, most departments have internal administrative units staffed with sworn, command level officers and clerical personnel dedicated to supporting and overseeing off-duty work. This is how it's been done since the beginning of modern policing. Recently, however, internal oversight of off-duty programs is undergoing dramatic change. More and more Chiefs and Sheriffs are choosing to outsource the program management to private companies. The typical off-duty support unit is overseen and staffed by both sworn officers and civilian employees. As a direct result of reduced law enforcement resources and greater agency transparency, the public now demands that sworn positions be returned to the street where they can directly impact crime. This increased scrutiny has also brought criticism against the high cost of paying public service employees to coordinate private security assignments. Outsourcing off-duty program management can be free to the law enforcement agency. 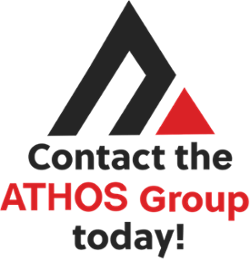 Outsourced security companies, like Athos Management Services (AMS), pass program costs to the company requesting the off-duty officer, so the middleman charges are typically cut out. In some cases, a percentage of those fees are returned to the police agency to augment their existing budget. Some departments have reportedly used these funds to hire additional officers and purchase needed equipment. I recently spoke to a police Lieutenant who had unsuccessfully attempted to get reimbursed for off-duty work done over a year prior, at the convention center in his jurisdiction. Despite repeated attempts, the officer had yet to be paid the hundreds of dollars he was owed. He explained that despite his inability to get paid, he frequently answered calls for service at the convention center where he dealt with the same people who had not paid him for his off-duty work. He voiced concern that if there was ever a complaint by the center employees about him, the matter would be complicated by the payment issue. Check out our discussion on the pitfalls of officers seeking reimbursement from private entities here. Reputable outsourcing companies will pay officers immediately, then handle the reimbursement by the client so the officer and the department don’t have to. A Police Chief from a large urban department sought to outsource his agency’s multi-million dollar annual off-duty program primarily because of the technology it offered. Using a smartphone app, such as the RollKall, officers working off-duty assignments are tracked real-time, allowing dispatchers to immediately identify the presence of sworn personnel in proximity to critical incidents. Other law enforcement executives receive periodic reporting, made possible by the technology, to ensure officers are not working too many off-duty hours and compromising their on-duty alertness. This technology also facilitates auditing processes by capturing officer clock-in and clock-out times. This is a critical tool when responding to claims that officers are inappropriately overlapping on-duty and off-duty hours, or double-dipping. These are just a few of the reasons Sheriffs and Chiefs are privatizing management of their off-duty programs, but most agree that these agreements prove extremely advantageous. Reputable security companies act as the solution between the client and the police department. Handle administrative details from client request to officer payment while ensuring department procedures are followed and put cops back on the street. Provide added insurance to indemnify officers and agencies. With three levels of service, security companies like Athos Management Services help law enforcement agencies by managing public-private security contracting. Whether it’s Level 1, where RollKall technology is provided free of charge for use by the agency, Level 2 where program oversight is outsourced to experienced former law enforcement personnel for management, or Level 3 where services are customized based on an agency’s needs, trust the security services to handle the details so you can get back to policing. Does your law enforcement agency need assistance managing public-private security contracting?